OK. I admit it. I get quite a bit of inspiration from walking through IKEA. And I found this book during my last trip to the giant furniture store. It's published by Ikea Family, and so Ikea does influence the style depicted in these rooms, but it doesn't dictate it. A pictorial review of nine Swedish homes, this book is a treasure trove of ideas. What's wonderful about the Scandinavian farmhouse design it its lightness. Because sun is not as golden in Sweden as it is in California for most of the year, homes there must maximize the feeling of lightness, hence all the blonde woods and white furnishings that Ikea is known for. The design is also relaxed and makes such smart use of space with wonderful ideas for storage. After reading this book, we've started to carve out niches in the interior walls of our home. Not sure what we'll use them for just yet: cell phone charging station, wine bottles, boxes of tea. Who knows? You can't design a farmhouse without going a little farther north to Ireland to get some tips. 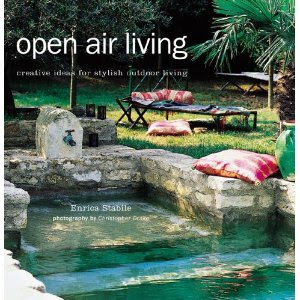 I love the sparsely decorated, open-air feeling created by the great rooms shown in this book. The concrete floors warmed up by plenty of wood notes and white walls really sold me on this look for our house. We'll be adapting a vanity cast from concrete that I found in this book for our own second bathroom. 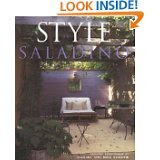 This is one of my favorite books and may be the first inspiration for our remodel. Something about the truly enchanted artist colony in Carmel, Calif., and its characteristic fairy-tale style that really ignited my imagination. This book opened my eyes to the possibilities of creating a writer's retreat, a home that by its very design could fuel new ways of thinking about things. 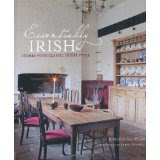 A writer myself, I loved the crooked chimneys, nooks, alcoves, libraries and writer lofts depicted in this book. My old traditional house style just seemed too square and boring after I looked at these timeless homes. 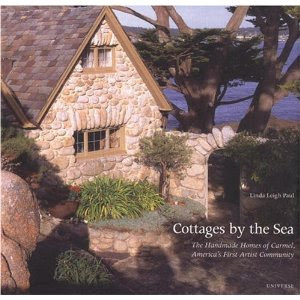 My family made a road trip to Carmel after I read this book and had a wonderful time. I took plenty of photographs of actual Carmel homes by the sea to further fuel my fantasies of one day living in one in Los Angeles. Ah, this book was also a very early inspiration and introduced me to some great fundamentals of design. 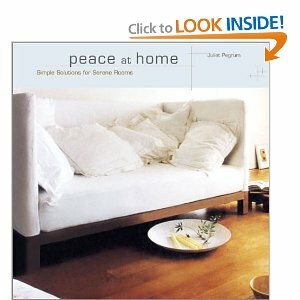 In such a helpful way, the author prompts inquiries and reflections about how you want to feel in your space and then, elucidates you on how simple design elements—many inspired from Chinese and Ayurvedic design principles—can evoke feelings of peace, calm, movement, lively social engagement, balance, etc. I find myself returning to the images and tips in this book again and again, always reminding myself not to over-decorate or over-do anything. It expresses the beauty of simple, clean, organic spaces and timeless, natural building materials. Believe it or not I bought this beautiful book at a car wash. After looking at these soothing outdoor living images, I couldn't put it down. Somehow the simplest things: a folded chair by the beach, an outdoor table lit by old hanging lanterns, a piece of wood mounted as a primitive shelf reminded me of how soothing rustic, natural elements can be. In addition to the movie Under the Tuscan Sun, this book's promise of a relaxed, comfortable outdoor lifestyle inspired our entire backyard renovation. In fact, the decision to turn our blue liner pool into a stone pool was catalyzed entirely by this incredible cover photo. And I must admit, my latest obsession with gypsy wagons came from this book. I've spent many nights on Craig's list and Ebay trying to find an affordable one for sale! I purchased this book when our renovation started to get more serious. 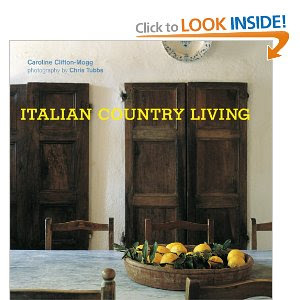 It discusses the nuts-and-bolds of traditional building materials and methods used in Italy and has been a go-to resource time and time again. Floors, ceilings, furnishings, windows and doors are all covered in detail in this book. 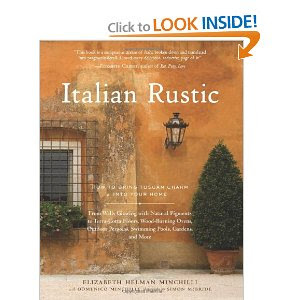 I was sold on finding reclaimed terra cotta tiles after looking at the ones shown in this book. Another great book on Italian design. No country farmhouse design would be complete without some tips from architecture and interior and designer John Saladino. I learned of him after reading one of my favorite blogs: Velvet and Linen. And then, once I heard his name, I kept seeing it repeated elsewhere again and again. He is a master of relaxed, but classic design. Simple, yet elegant. Rustic, yet refined. All those juxtapositions are expressed seemingly effortlessly in his homes. 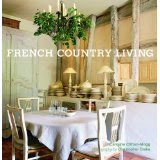 Reading this book forced me to straddle the two worlds of Italy and France. Each design style is similar, and yet--also different in many ways. My style borrows from both. 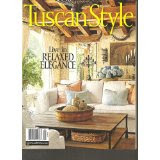 I must have about four of these quarterly Tuscan Style magazines. And while I see many of the images therein repeated online, I never tire of turning through these glossy pages again and again.